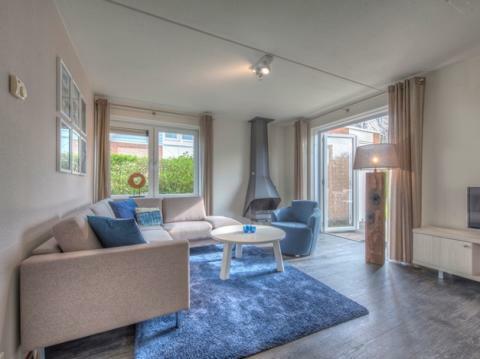 Roompot Noordzee Residence De Banjaard in Kamperland - the best offers! This price applies to 4-person cottage Villa 4A, with the arrival as 11 June 2019, 3 Nights. This price applies to 4-person cottage Kindervilla R5 Restyled, with the arrival as 27 May 2019, 2 Nights. This price applies to 6-person cottage Villa 6A, with the arrival as 27 May 2019, 2 Nights. This price applies to 8-person cottage Villa 8A, with the arrival as 27 May 2019, 2 Nights. This price applies to 6-person cottage Villa R6A Restyled, with the arrival as 27 May 2019, 2 Nights. This price applies to 8-person cottage Villa R8A Restyled, with the arrival as 27 May 2019, 2 Nights. This price applies to 10-person group accommodation Villa R10A Restyled, with the arrival as 27 May 2019, 2 Nights. 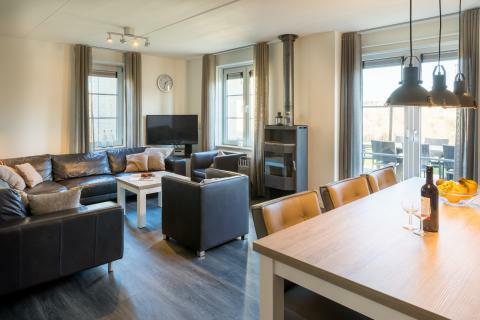 This price applies to 16-person group accommodation Familievilla 16, with the arrival as 11 June 2019, 3 Nights. 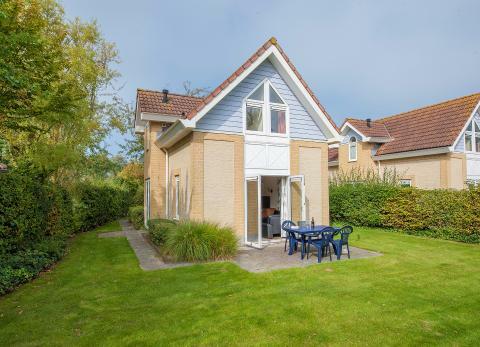 Roompot Noordzee Résidence De Banjaard is situated on a rustic location between the Eastern Scheldt tidal basin and the Veerse Meer lagoon in the province of Zeeland. 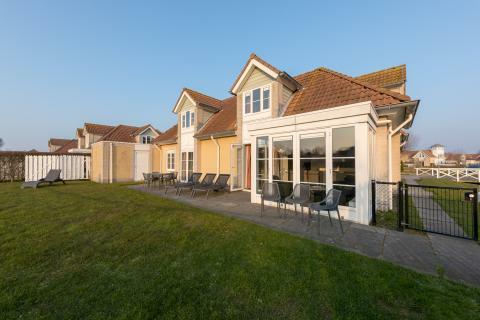 Besides the stunning natural surroundings, you can enjoy a game of mini golf, take a dip in the indoor pool or visit the beach and enjoy the beautiful coastline. If you’re an active athlete you will be completely at home at this holiday park. The facilities include tennis courts, mini-golf, bicycle rental services and a swimming pool. You can also try your hands at archery, teach the kids how to play petanque or enjoy a game of table tennis! 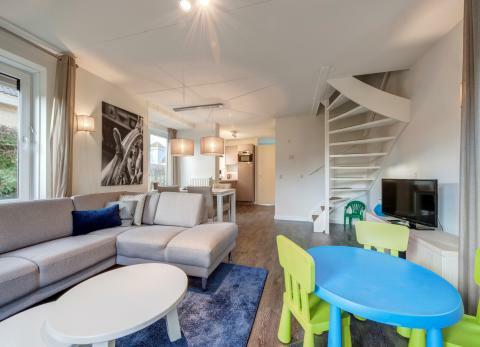 The kids are sure to enjoy themselves at Roompot Noordzee Résidence De Banjaard. So they can play on the several playgrounds and the trampoline. The entertainment team offer an extensive programme for all ages during the school holidays. The children can also have plenty of fun in the swimming pool. 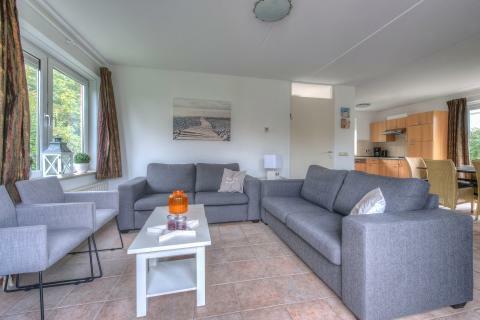 Roompot Noordzee Résidence De Banjaard features several eateries, including a restaurant, buffet restaurant and snack bar. You can, of course, also cook in the comfort of your own accommodation. 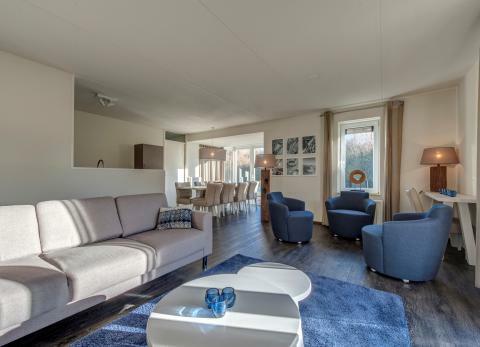 Various day trips are possible from Roompot Noordzee Résidence De Banjaard. 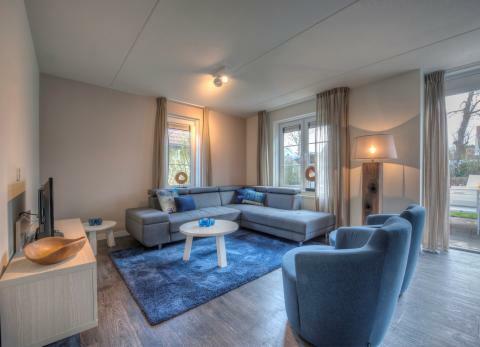 You can go beer tasting in Emelisse, where guests of Roompot Noordzee Résidence De Banjaard can receive a free tour. The city of Middelburg is highly recommended for a day trip. Here, you can take a boat trip around this historical city with its many cultural attractions. For an outing with the kids, Deltapark Neeltje Jans leisure complex is a must! Enjoy a spectacular seal show, admire the underwater world at Aquapolis Aquarium and finish the day off with some delicious pancakes! The children's package consists of a cot excl. bed linen, high chair and playpen. During the low season, from the 6th of November until the 9th of February, the facilities of the park are closed during the week. The facilities are open during the Christmas holiday.